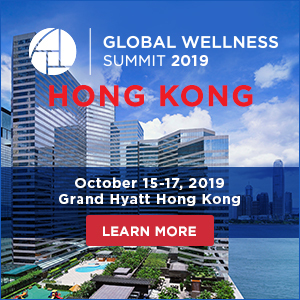 How effectively you communicate as a team, in the workplace and with your guests, can help determine the success of your spa in the long run. But it can only happen if you have an effective, reliable organizational framework in which each team member knows what is expected and can be confident doing his or her job. Many spas start without creating this sound foundation and take longer to become successful than perhaps necessary. Communications break down as they struggle to provide a satisfying and rewarding spa experience for their guests. Their team members often don’t feel heard and there doesn’t seem to be enough time in the day to get it all done. Using industry-proven, reliable standards and practices (S&Ps) to establish a framework is a large part of the solution. S&Ps are like a blueprint for setting up a well-run spa and they also provide the tools to measure how an individual spa compares to the rest of the spa industry. Federally mandated S&Ps would be great, but they simply don’t exist. Even certification of therapists – whether esthetician, nail tech or massage – is either not required or varies from province to province. 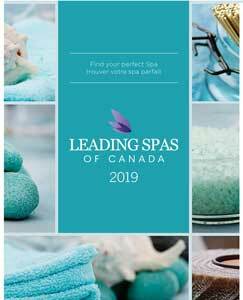 Realizing this, over a decade-and-a-half ago, Canadian spa industry association Leading Spas of Canada created a basic yet comprehensive set of S&Ps that are applicable to every type of spa across the board in any of Canada’s provinces. These S&Ps set out criteria by which each spa across the country can measure the levels of professionalism in the services and products they provide. They go beyond individual certification and licensing to include the responsibilities of the spa to its team members; the responsibility of team members to the spa; the responsibilities of the spa to its guests; and safety and hygiene. 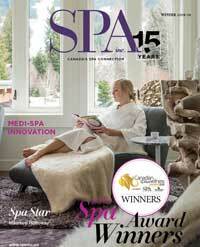 Leading Spas of Canada members agree in writing that they comply with the S&Ps, but compliance is voluntary. When you examine Leading Spas of Canada’s S&Ps more closely, you realize that many of them deal with communications – not only from the top down, but especially in terms of the responsibilities team members have to their spa and to its guests. Communicating these S&Ps to your team can help build a better, more confident team. Make them available to each and every team member and part of the orientation process for new team members to help them understand the “whys” of your policies and decisions. Use them as the basis for writing your employee handbook and encourage team members to give you their feedback. Incorporate them into your annual review process. And don’t hesitate to have Q&As on aspects of the S&Ps from time to time during your team meetings. This is internal communications at its best. S&Ps also help team members understand the importance of effectively communicating with guests. Your spa might seem like an average workplace to you, but for some guests – especially first-timers – procedures can be a little daunting. Look for telltale signals, ask questions and listen for what is not being said to put a guest at ease and make their experience stellar. Many Leading Spas of Canada member spas wanted to verify the excellence of their spas to their guests, which led to creation of the Quality Assurance (QA) program in 2009. Today, QA Certified Spas volunteer and pay for a verification process they undergo every two years by Leading Spas of Canada’s assessors based on the criteria set out in the S&Ps. In these spas, guests can be confident that the spa will strive to deliver a top-notch spa experience in a safe, well-run establishment. Communication lies at the heart of the QA assessment. Prior to the assessment date, a spa is provided the same criteria used by the assessor, so that the spa can be well prepared. There are no surprises. It then becomes a collaborative process in which the assessor has the opportunity to share many of the best practices found in other spas – a win-win situation all around. Effective communications – top-down, bottom-up, to each other and to guests – are the very essence of any successful spa. Standards and practices provide the roadmap to getting there. 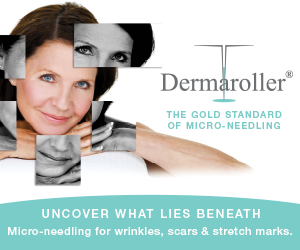 Ask questions when you’re booking a treatment. Do you have any health concerns the spa should be aware of? A preference for a male or female massage therapist? This helps the booking agent find the right therapist for you. Arrive at least 15 minutes prior to your appointment. Most spas will deduct the time you’re late from your treatment time in order to stay on schedule for the rest of its guests. You want to make the most of the time you have! Turn off your cell phone. Consider your spa time your downtime – turn off your head, too, if you can and enjoy your treatment to the fullest. Even a manicure in a busy nail area can become blissful if you relax into it. Most of all, choose the right spa for you! Author: Kathryn Stolle is a spa professional with more than 25 years in the spa and wellness industry. She is author of Getting Great Spa on the Road to Wellness and is an assessor for Leading Spas of Canada’ s Quality Assurance Program.